1. 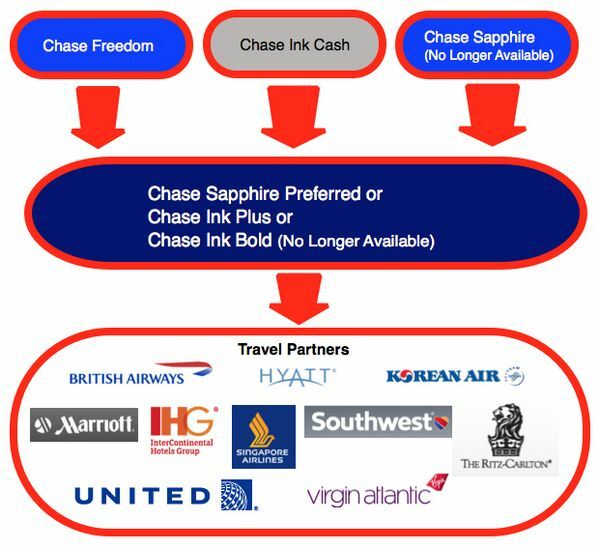 Getting Matched to the $2,000 Chase Sapphire Preferred. Readers have commented that they have been successful at sending a secure message to Chase and getting matched to the current offer of 40,000 bonus points after spending only $2,000 instead of $3,000. Chase usually matches you to the best current offer if you applied within the last 90 days, so it doesn’t hurt to ask. 2. Iceland Air Update. Jared posted an update on his phenomenal discovery of buying Iceland Air miles for ~$330 and using them to fly on Alaska Air First Class to Hawaii. Basically, you can’t have TWO stopovers of more than 4 hours each, but one stopover of 4 hours or multiple stopovers of less than 2 hours appear to be allowed. So if you have an overnight connection in, say, Seattle, going and coming from Hawaii, you won’t be able to book the flight since you will have TWO stopovers of more than 4 hours each. 3. 40% Discount on United Miles. how to find award seats on Alaska Airlines and buy Iceland Air miles. Via Lucky, United is offering a 40% discount (when you buy at least 15,000 miles) on buying miles up to 11:59 pm CST on Wednesday, August 21, 2012. This works out to 2.26 cents per mile for up to 100,000 miles. This isn’t a great (or even good) deal, but buying 100,000 miles for ~$2,260 will get you a business class ticket to Europe or South America. Could also be worth it to some to top off your United account for an award. 4. 50% Discount for Transferring Delta Points. Delta points writes about a discount for transferring Delta miles where you pay 0.5 cents per mile transferred up to August 31, 2012. You can always book an award for someone else, so there’s no point paying to transfer the miles unless you’re just a bit short of an award for yourself. 4. 50% Discount for Transferring Delta Points. Million Mile Secrets reader Tammy (thanks!) has graciously donated 2 $50 discount coupons for a round-trip on Air Tran. But you have to book AND fly by August 31, 2012. The discount code is: 2701, and the certificate numbers are: 94563330102539 & 94565672507926. “Go to AirTran.com by August 31, 2012, and select your desired AirTran Airways flight(s). All travel must be complete by August 31, 2012. On the payment page, select ‘Discount Coupons’ and enter the discount code and certificate number included above. One Discount Certificate is allowed per person per reservation. I sent the Secured Message to Chase, thanks for the tip. It worked within 2 hours. @Jonathan – Looks like they are having a glitch, so I’d wait a few days before buying the miles again. Jared has an update on his blog. @justin – I just bought 30K points, but I don’t see why you can’t book 2 tickets on the same call. @Lennon – Glad it worked out! Just a quick question, did you buy a total of 60,000 points in one account, or purchase 30,000 in two separate accounts? I’m assuming if you did the first one you were able to book two tickets in the same phone call? Thanks! Regarding Iceland Air – I think all of the blog readers have successfully overloaded their system! I bought points yesterday, but they did not post instantly like yours did. I did see a temporary authorization on my card but received an email today saying the transaction failed. I called them and they said their system malfunctioned and all points purchased yesterday were canceled! I purchased them again today, and they said they would know in 2-3 hours if the purchase will go through.